Your components are grounded. Your AC wall outlet is grounded. Why aren’t your circuit boards? We’ve found that most audio circuit boards are not connected to an AC ground leading to less than optimal sonic results. 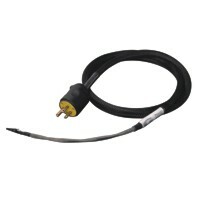 Our Ground Cables improve the performance of your system by providing these boards with a direct path to ground. 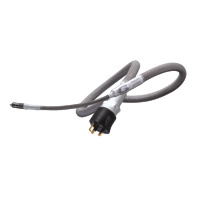 Each Ground Cable comes pre-terminated with one of several connections for the component end (RCA, XLR, Spade, Pin) and an AC Wall Plug at the other end. Ground Cables are exclusively wired from ground to ground, no other pins or connections are wired. 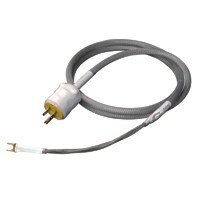 Simply connect the Ground Cable to an unused input on the component then plug the cable directly into the wall. The results are stunning with a massive drop in noise and a huge increase in clarity. Ground Cables are available in a variety of connections to suit any component, ground them all and hear deeper into every recording. For optimum results, we recommend using Ground Cables on all components, focusing first on source components. We do not recommend connecting Ground Cables to power conditioners as the internal grounding schemes within these might interfere, however, a power strip or a distribution bar without filtration may be used to simplify connections. Our Ground Cables will have an immediate effect in the system, however, like all audio cables their ultimate performance will be achieved after 25-50hrs of play time.